Gothic literature covers a range of books and authors much wider than most people realize. From the origins of the movement in the 18th century to Charles Dickens to contemporary writers such as Stephen King, this A-to-Z guide to Gothic literature covers a vast array of works and writers from Britain, America, and other countries, as well as a variety of genres—novels, short stories, poetry, plays, and even a few influential films and works of art. 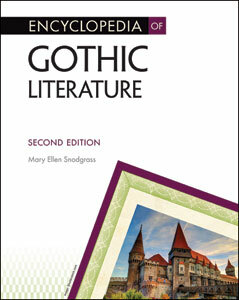 The extensive Encyclopedia of Gothic Literature, Second Edition thoroughly examines this increasingly popular topic. This new revised edition contains updates to all biographical entries on living authors, as well as updates to some of the appendices. Famous settings, such as Castle Dracula, the House of Seven Gables, and Frankenstein's laboratory.